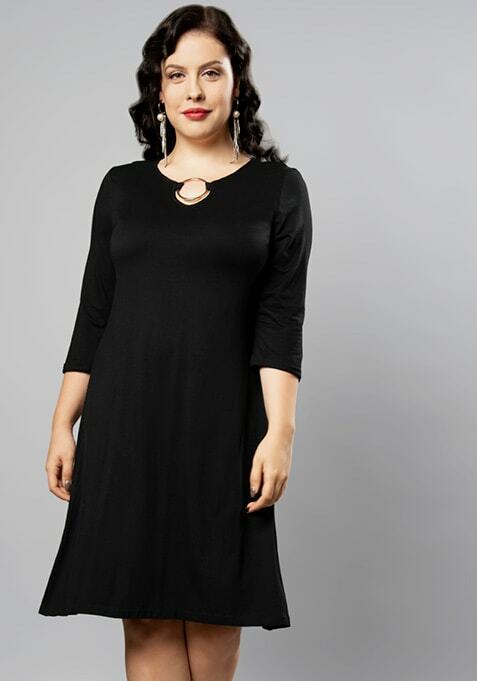 A versatile black dress that will easily take you from 9 to 5 and beyond. Features silver ring on the neck. Work It: A pair of black heels and simple make-up will do wonders with this dress.